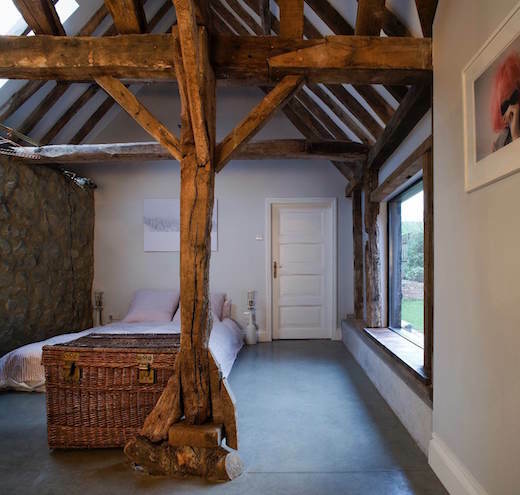 Here is another example of a great conversion project, which breathes new life into a structure built a long time ago. 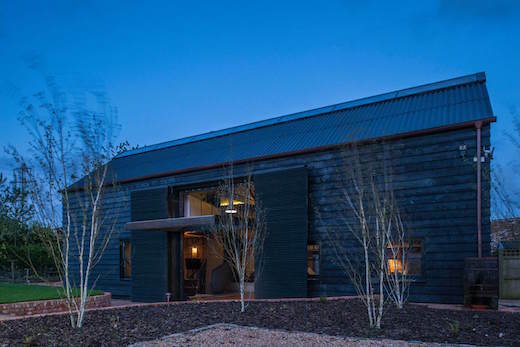 The project was dubbed Ancient Party Barn and the conversion was carried out by the firm Liddicoat & Goldhill. The home is located near Folkestone, Kent, which is one of the most scenic areas of England. 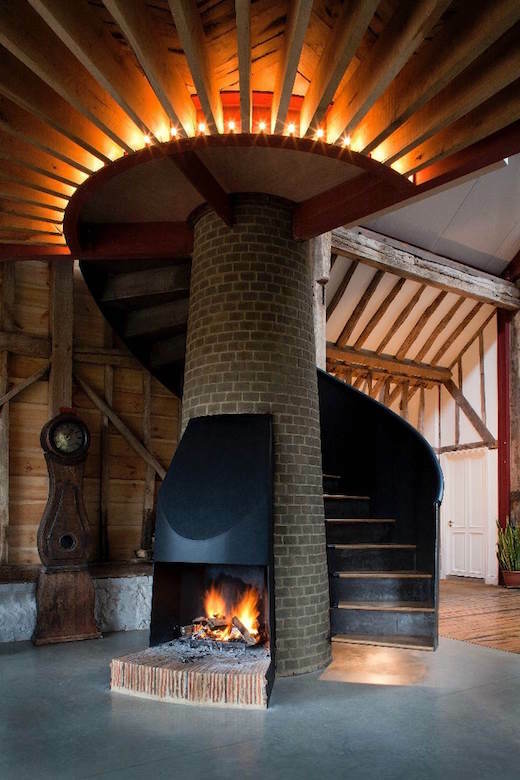 The architects did a great job of mixing the old with the new with this conversion, creating a gorgeous modern home, which pays homage to its historical roots yet is firmly planted in the new millennium. 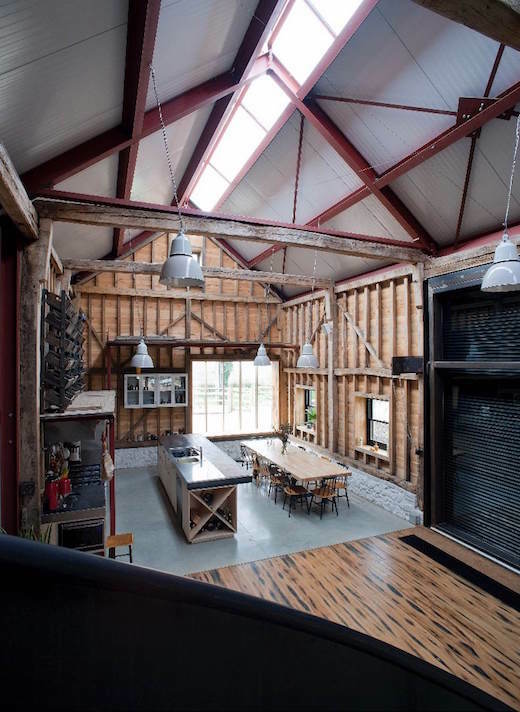 The finished Ancient Party Barn is made up of a series of 18th Century agricultural buildings, which include the dairy, stables, and a big threshing barn. Owners John Sinclair and Deborah Harvey purchased the property in a dilapidated state, and wanted to turn it into a country home that could be kept secure when not occupied, but which would also offer great views when they were staying there. 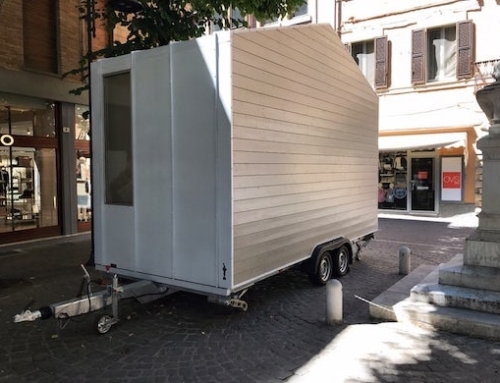 The architects catered to this wish by installing insulated shutters that can be used to cover the large windows when needed. 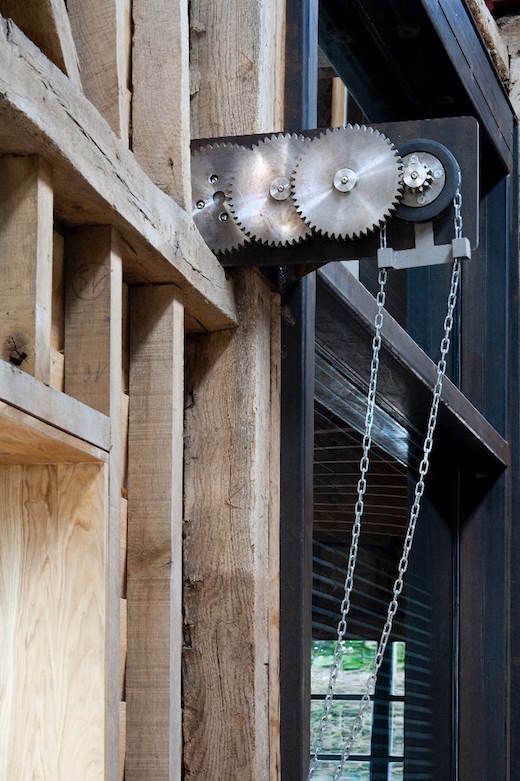 They also built a unique mechanism, that they adapted from a chain lift, to open and close these shutters when the occupants so desire. 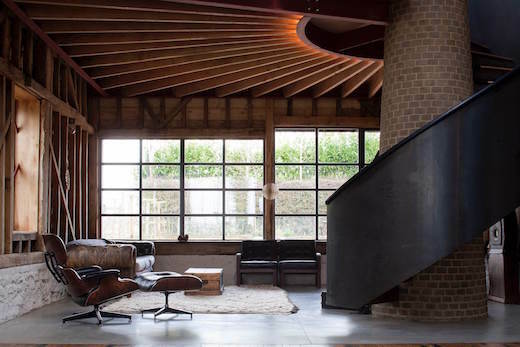 The eastern façade is covered by an aircraft hanger door, which they sourced from the US. 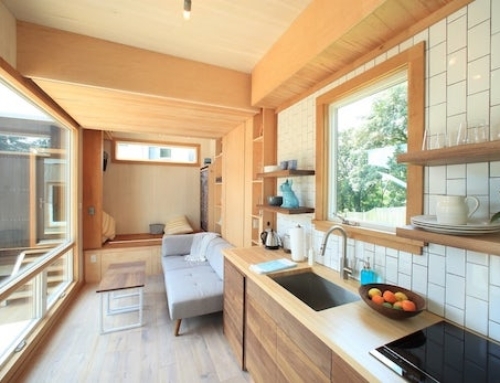 This door can be opened upward to create a canopy over the home’s dining area. 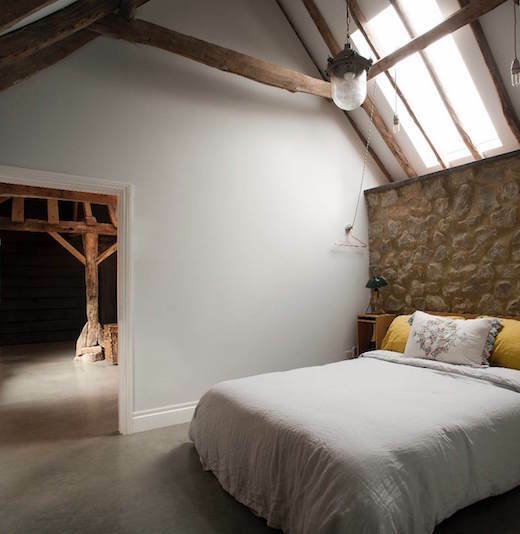 To make sure enough daylight enters the house, they installed a large long skylight, which runs along the roof of the barn. 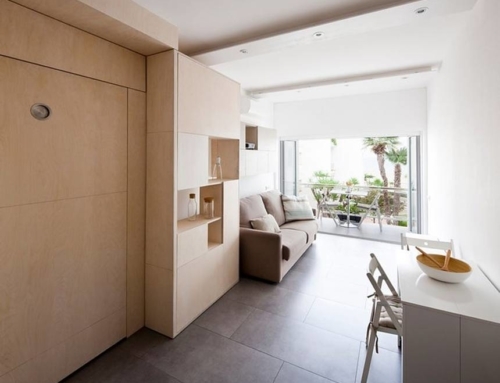 The interior floor space of the home measures 2,292 sq ft (213 sq m), and they used the original wood in the renovation. 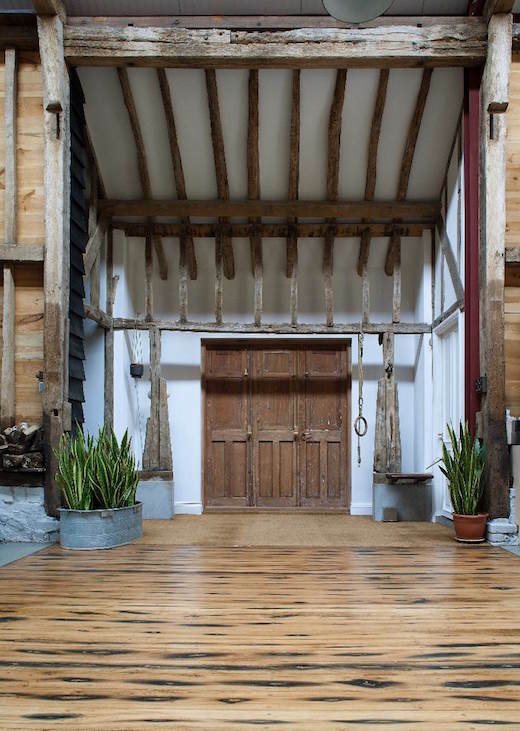 This proved quite challenging, since the green oak framing originally used to build the barn was mostly rotten. So they had to first disassemble and repair it, and then put it all back the way it was. But it was well worth the effort since it gives the home that quaint old-world style. They did, however, also install a hidden steel exoskeleton to give added support to the barn. 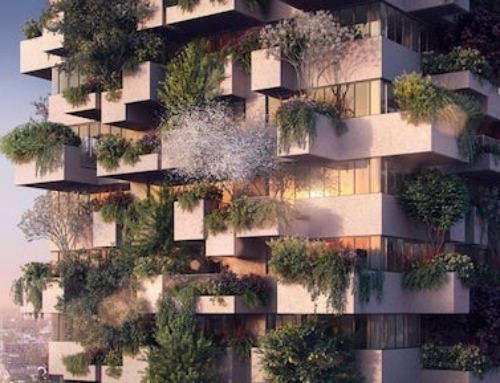 The home is quite sustainable too. 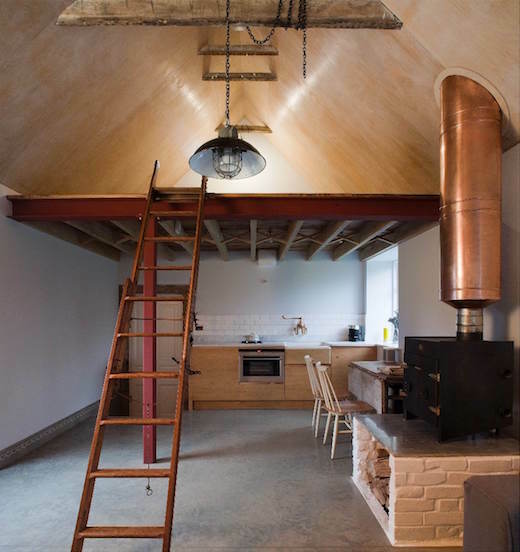 It features a ground-source heat pump, which takes care of heating and hot water needs. They only installed original, reclaimed light fittings in the home, but they first adapted them to work with low-energy LED bulbs. 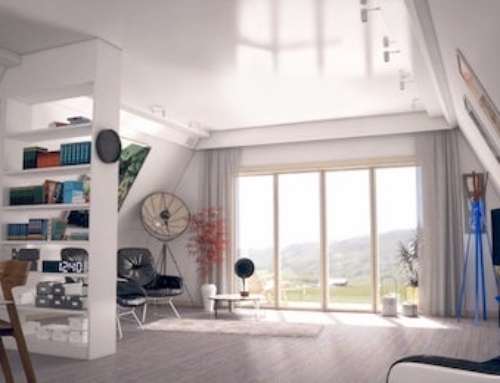 The house was also fitted with a smart home automation system, which allows the owners to remotely monitor and adjust the home’s settings, such as lighting and temperature.